Abnormally heavy snowfall left Muscovites squelching through slush Sunday morning, and meteorologists forecast rainfall for the rest of the day, compounding the capital's weather woes. 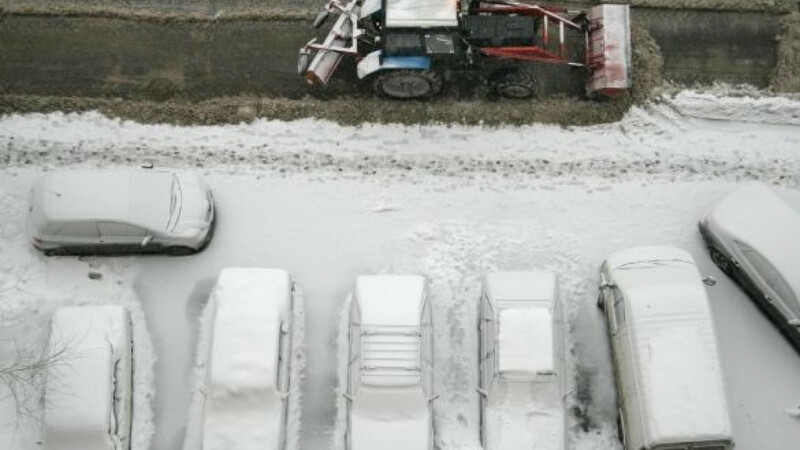 “Over the course of three hours, between 5 and 6 centimeters of snow fell in Moscow, which is atypical for the end of October,” a weather forecaster from the capital's Fobos Weather Center told RIA-Novosti. The forecaster explained Sunday's heavy snowfall by a southern cyclone bringing dense rainclouds to Russia, adding that there would be no further snow Sunday due to rising temperatures. “By the middle of the day, the air temperature will start to rise and reach between 5 and 7 degrees Celsius. The rising temperatures will continue into the evening,” the meteorologist said, adding that up to 20 millimeters of rainfall was expected. In northern Moscow, rain had already started to fall by mid-morning. Forecasters said the temperature would dip once more by nighttime Sunday, and Muscovites trudging into work Monday morning can expect to be dealing with slippery conditions as Sunday's slush turns to ice. “The slush formed from snow and rain will freeze, turning into black ice,” the forecaster told the news agency. While Moscow's airports and railroads were not affected by the snowfall, the city's roads soon turned into rivers. The number of road accidents rose steeply in and around Moscow, state-run Channel One reported, without giving accident figures. NTV, another state-run channel, reported that similarly heavy snowfall affected parts of Germany and the Czech Republic, causing major traffic jams and train cancellations. Combined with the fact that electronic appliances ignored former President Dmitry Medvedev's decree abolishing the fall clock change and establishing “eternal summer time” in Russia, many Muscovites were visibly caught off guard Sunday. During a morning broadcast, a Rossia 24 news reader told viewers that half of the channel's employees had showed up for work an hour later than usual.